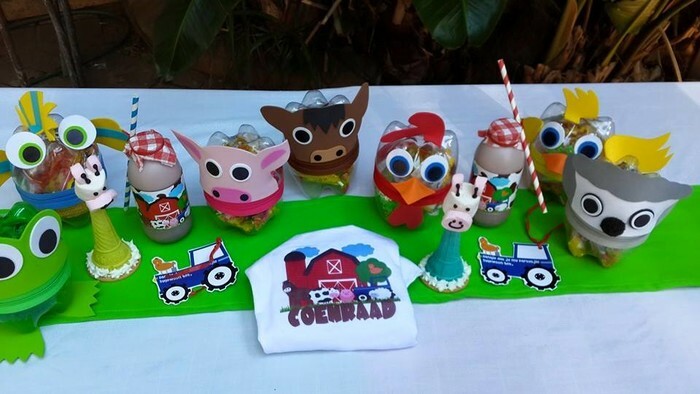 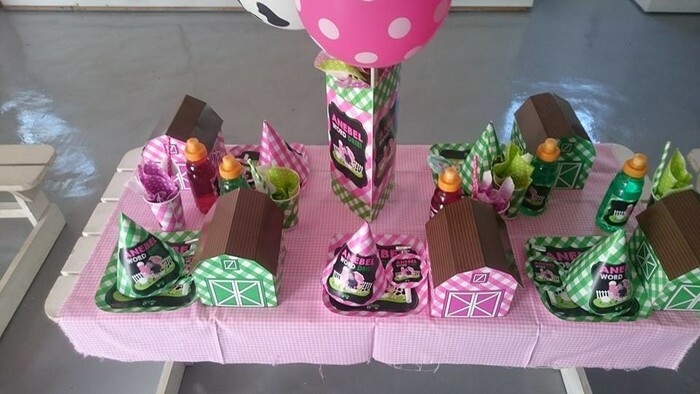 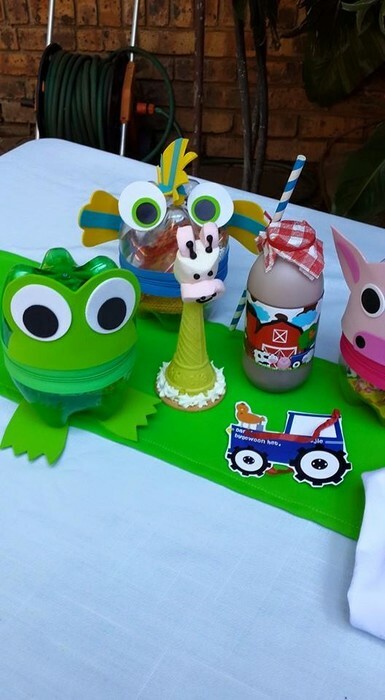 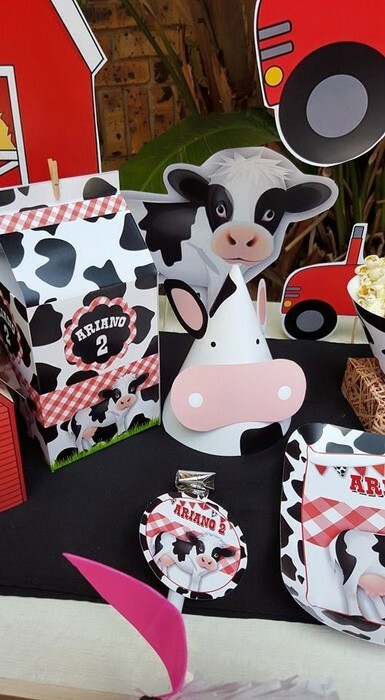 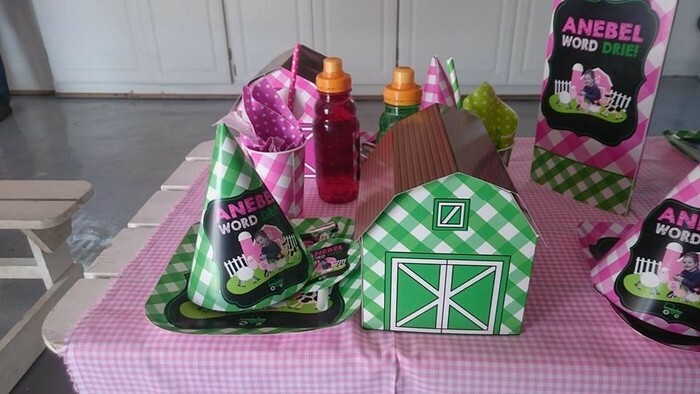 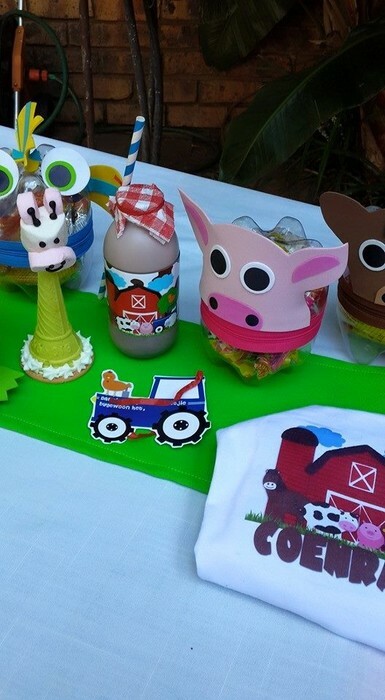 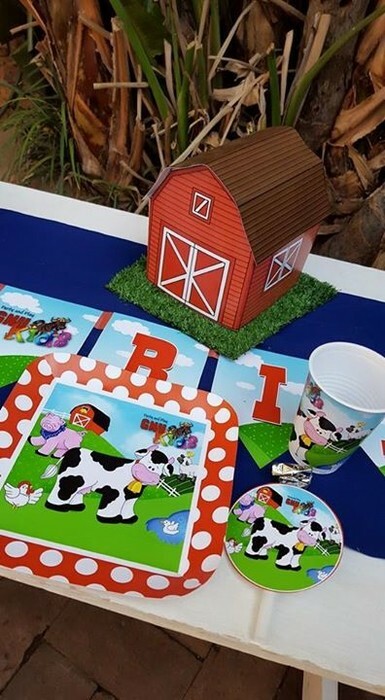 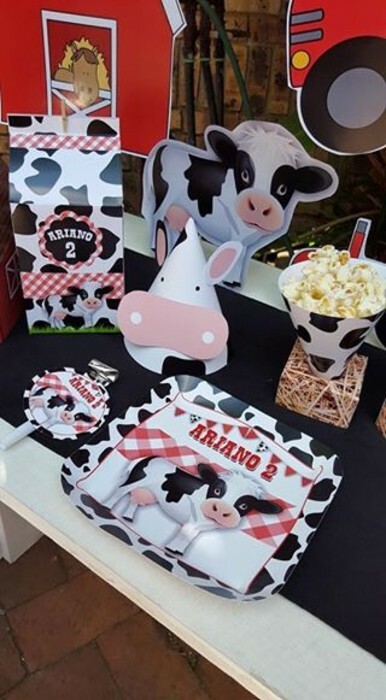 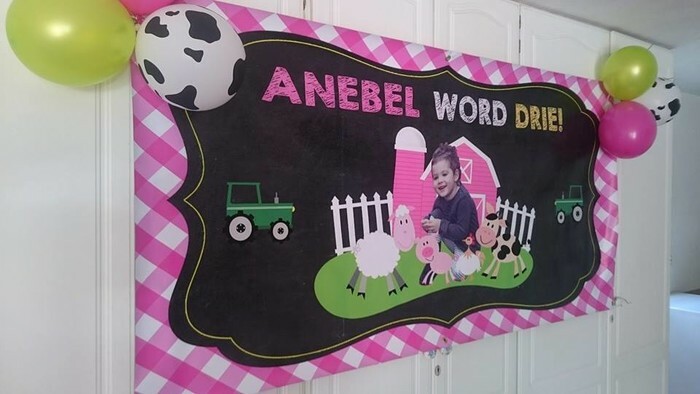 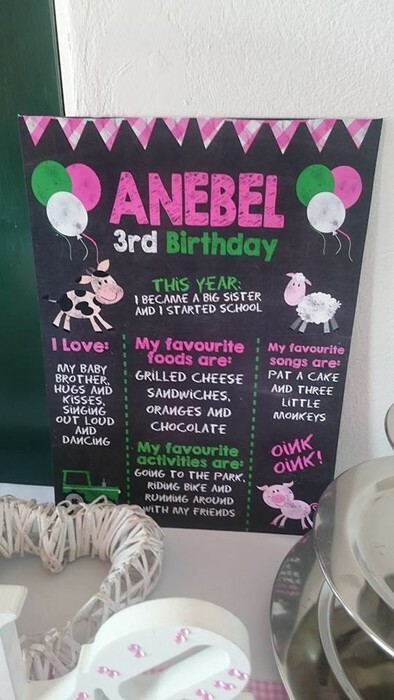 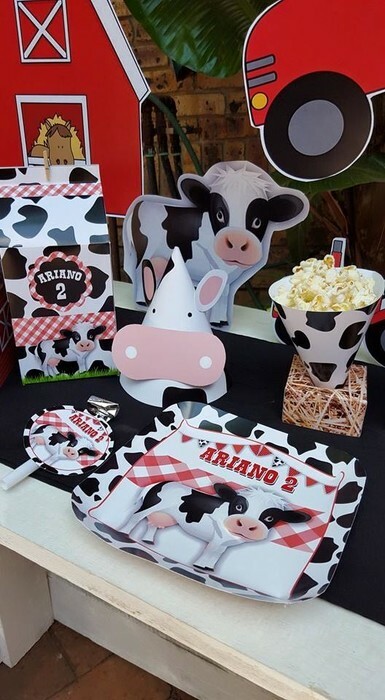 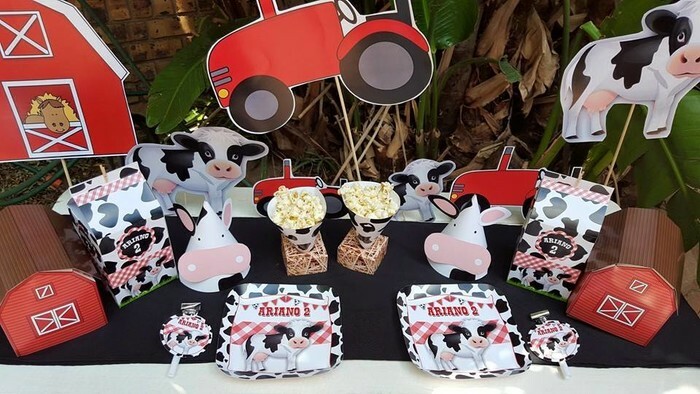 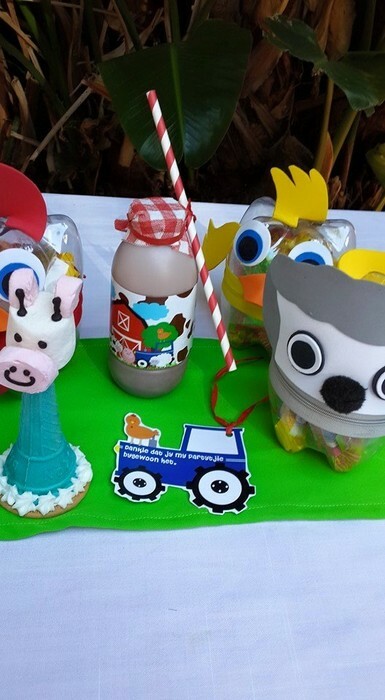 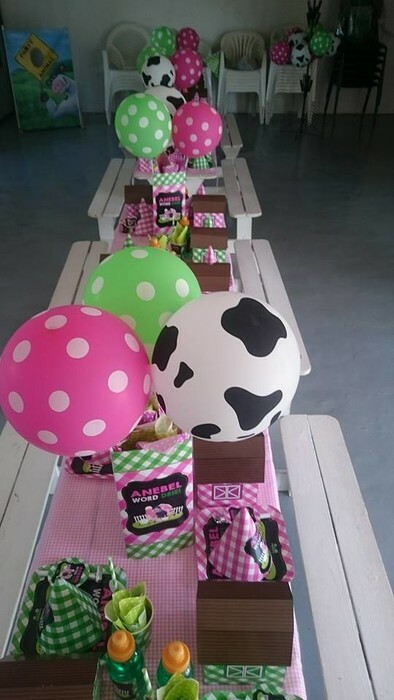 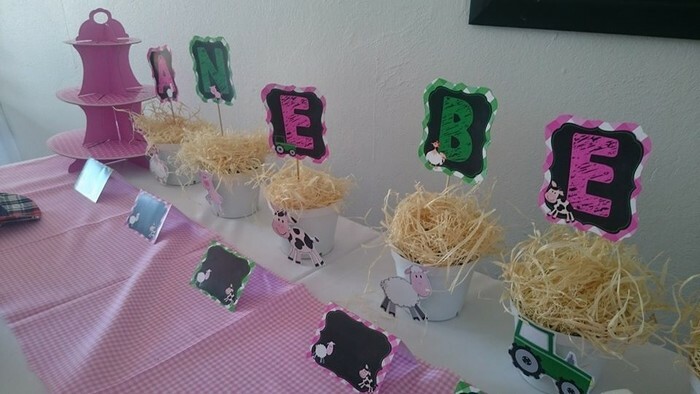 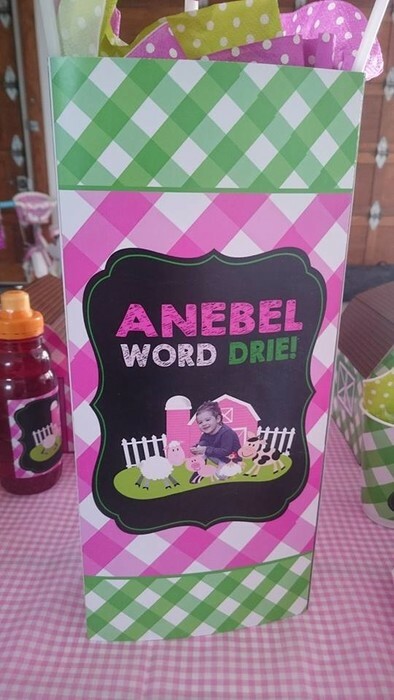 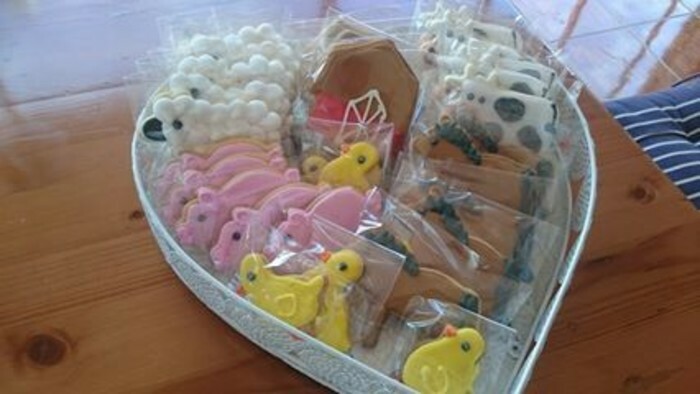 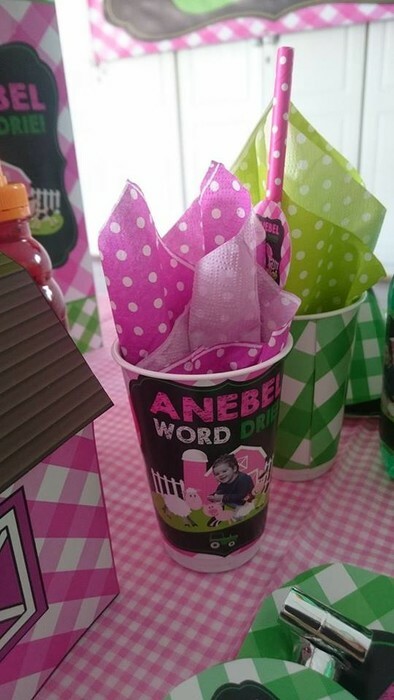 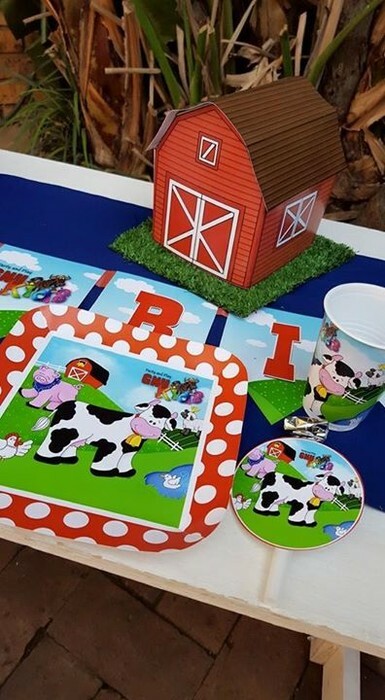 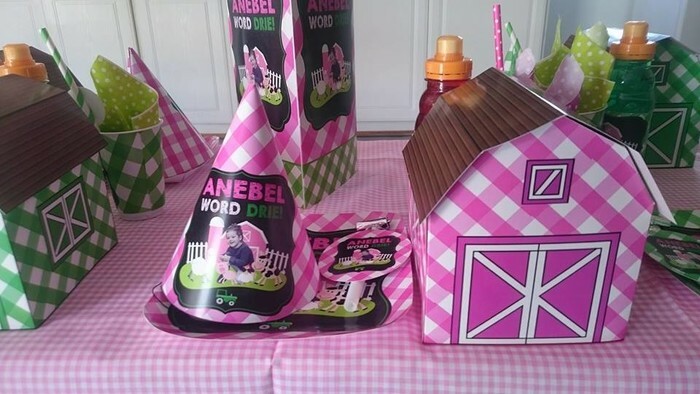 We can make all of our products in the Farm Animals party theme as we manufacture all our products on order. 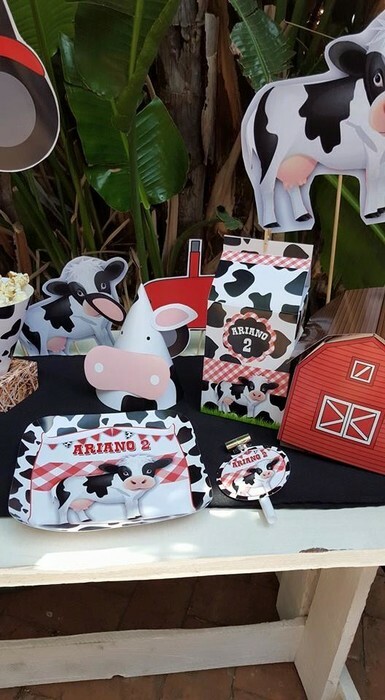 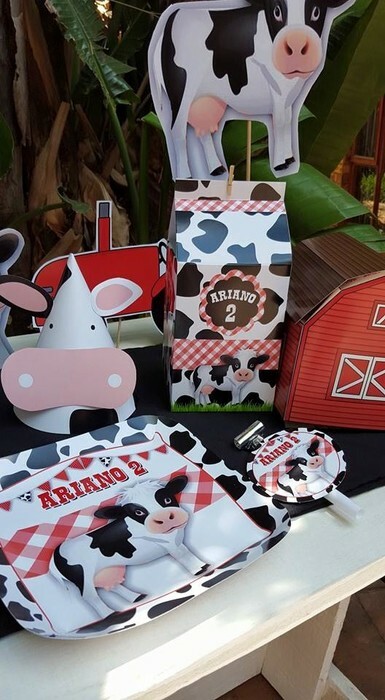 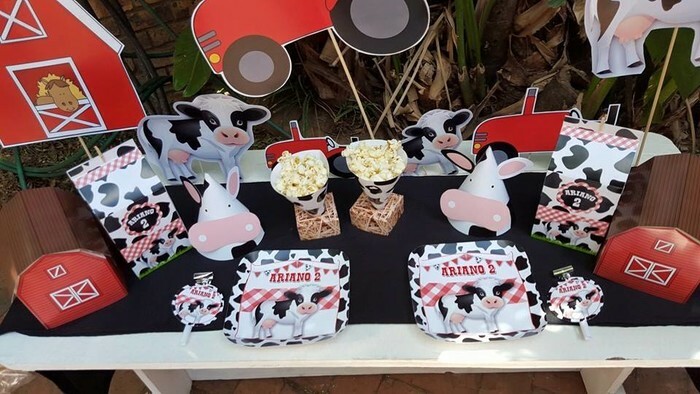 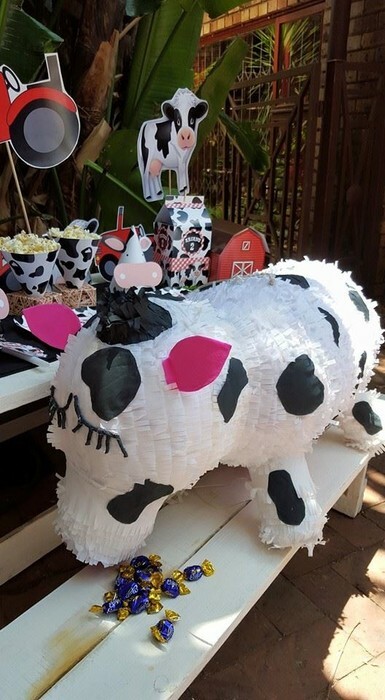 We can do absolutely any Farm Animals theme you have in mind as we custom design all our party themes in-house. 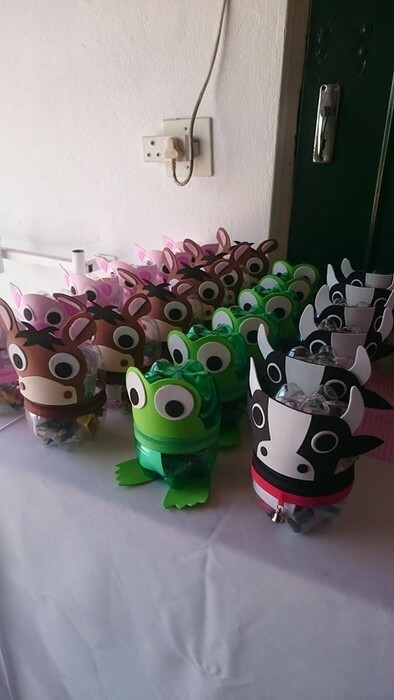 GNU Kids Party Venue asked us to make some unique party supplies to compliment their unique party venue. 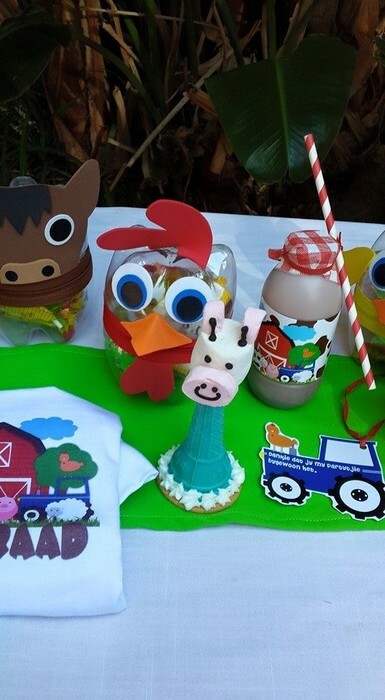 These Farm Friends party supplies fitted right in with their Gnu Valley Farm. 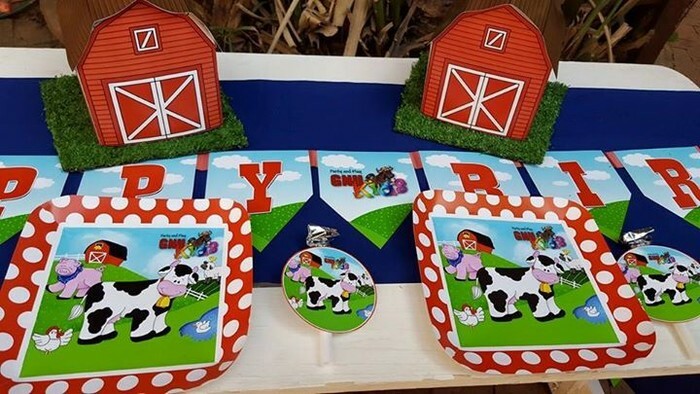 We made custom designed barn party packs/centerpieces, personalised party plates, flags and blowouts with their company branding on.